BCECE exam pattern indicates the question paper details. Get here details of how many questions, of each topic will be asked in the exam, marking scheme, duration of exam, and other relevant details. 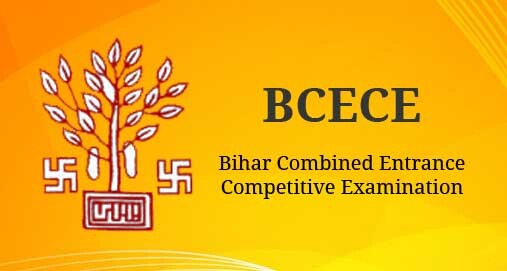 The BCECE Exam is conducted for admission to engineering, medical, pharmacy and agriculture colleges in Bihar. There are sections in the paper – Physics, Chemistry, Mathematics, Biology, Agricultural Science. Each section paper is of 1.5 hours (90 minutes). There are 100 questions in each subject. Maximum Marks in each subject is 400. The questions are MCQ type with +4 for each correct answer. One mark deducted for every wrong answer. Each paper will be for one and half hours. Candidates have to attempt Physics and Chemistry compulsorily; candidates opting for engineering should attempt Mathematics. Total Marks for each subject will be 400. There will be a total of 100 questions in each subject. Four marks will be awarded for each correct answer and one mark deducted for every wrong answer. BCECE Exam exam pattern elaborates the scheme of the BCECE exam with information about the subjects, questions asked, marking scheme and duration of exam. The BCECE Exam exam pattern is important for students in order to know and prepare for the exam. Students can find the details of the BCECE Exam paper pattern above.